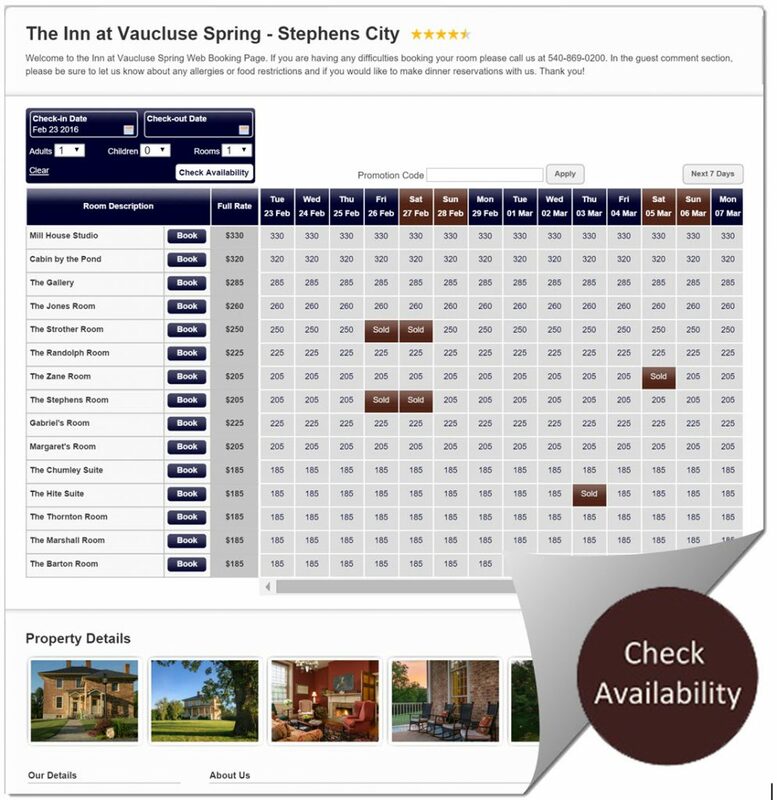 With our secure online booking site, you can make your lodging reservation at The Inn at Vaucluse Spring located in the Shenandoah Valley whenever it suits, and with no booking fees. Just click the button, select your dates, choose your room and fill in your details. Please be sure to tell us about any dietary restrictions or special needs in the Guest Comments section. Come experience the relaxation and romance of our Shenandoah Valley bed and breakfast. We look forward to having you as our guests at The Inn at Vaucluse Spring!